Explore the beauty of the Swiss mountains with this ideal combination of Lucerne and Interlaken. Spend two nights in the charming town of Lucerne followed by two nights in Interlaken with trips to the summits of Stanserhorn (1’226 m) and/or Mount Pilatus (2’133 m) and/or Mount Titlis (3’238 m) and the Jungfraujoch (3’454 m). Prices quoted in Singapore Dollar and based on per person. Welcome to Zurich! Proceed to Lucerne by train. Check in to Lucerne hotel. Free at own leisure and explore Lucerne city. 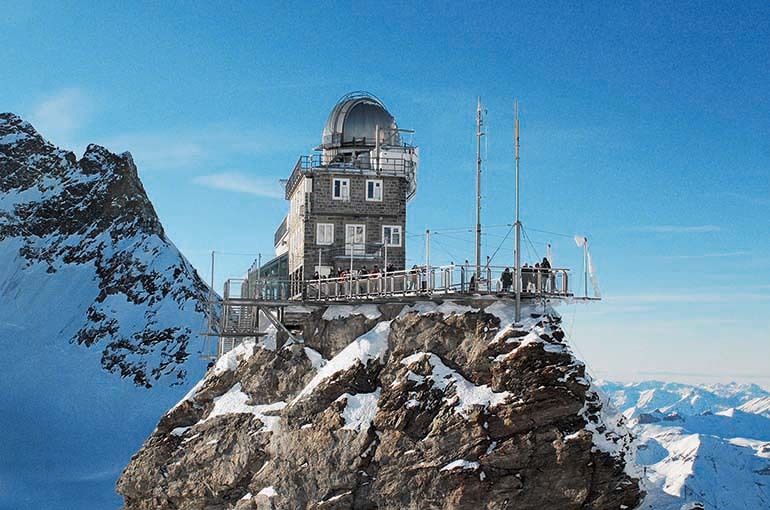 After breakfast, you can choose a visit to Mount Titlis, the highest glacier in Central Switzerland; Mount Pilatus, with the world’s steepest cogwheel railway or Mount Stanserhorn, the latest masterpiece of Swiss engineering with open top aerial cable car. Overnight in Lucerne. Entertaining journey on board the Zentralbahn or a regional train via the Brunig pass to Interlaken. Overnight in Interlaken. The Jungfau Railway leads to the highest train station in Europe and offers unbelievable views of the mountain giants Eiger, Monch and Jungfrau and the 22 km long Aletsch glacier. Overnight in Interlaken. After breakfast hop-on a train from Intelaken to Zurich airport for your flight back to Singapore. Land package valid from Now - March 2019. (unless otherwise stated). Gotthard Panorama Express operating on every Tuesdays to Sunday only from 21 April to 14 October 2018. Paxs will ride on the normal regional train when Gotthard Panorama is not operating. Prices are for per person basis and hotel stay on twin share basis. Prices exclude tips & other personal expenses. Prices are correct as of date of print and subject to changes due to fluctuations of currency exchange, airport taxes and fuel surcharges. Hotel rooms are subject to availability during peak season public holiday and school holidays. To be advised at the time of booking. All passengers are responsible for obtaining the appropriate visa, vaccinations and health certificates and carry a passport with minimum validity of 6 months.